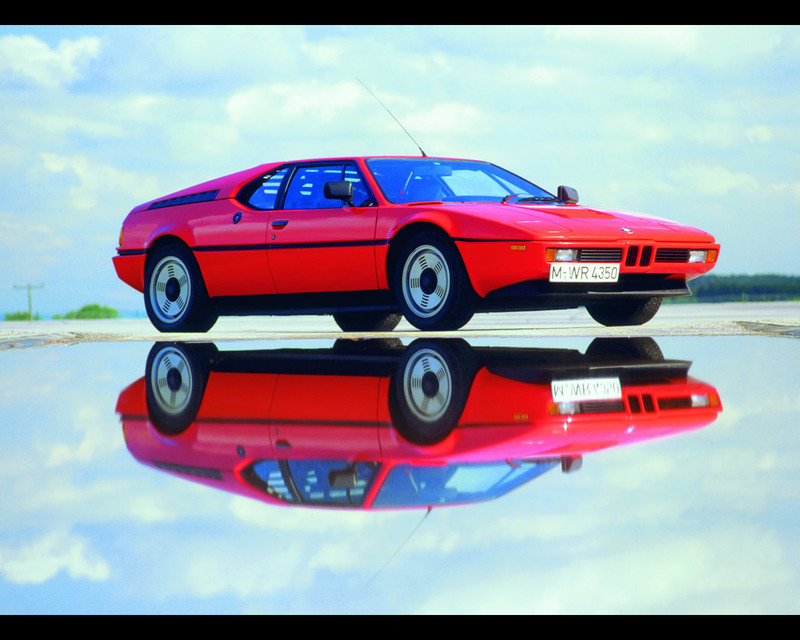 The road-going version of the BMW M1 was unveiled at the 64th Paris Motor Show in 1978. The mid-engined sports coupé was 114 cm (44,9 in.) high, was propelled by a six cylinder in-line producing 204 kW (277 bhp) and was capable of a top speed over 260 km/h (160 mph). Acceleration from 0 to 100 km/h in 5,6 seconds also looked very good, which is not surprising considering the power-to-weight ratio of 4,7 kg/hp. 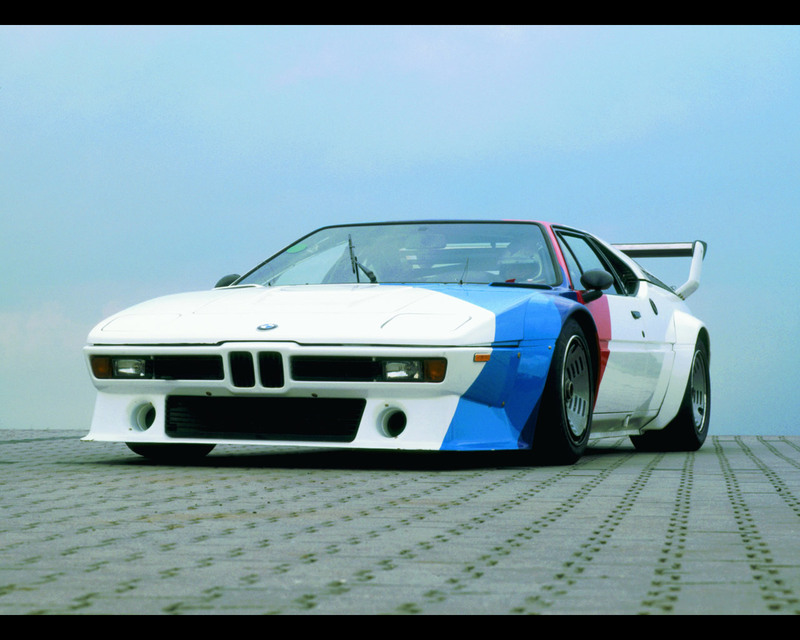 The BMW M1 was conceived and built for racing right from the start. According to Group four regulations at the time, qualification required a production run of at least 400 units in 24 successive months, it had to have two seats and bear a distinct ressemblance from outside with its production counterpart. That made it quite clear that the M1 had to be not only a thoroughbred racing car, but also a street-legal sports car. 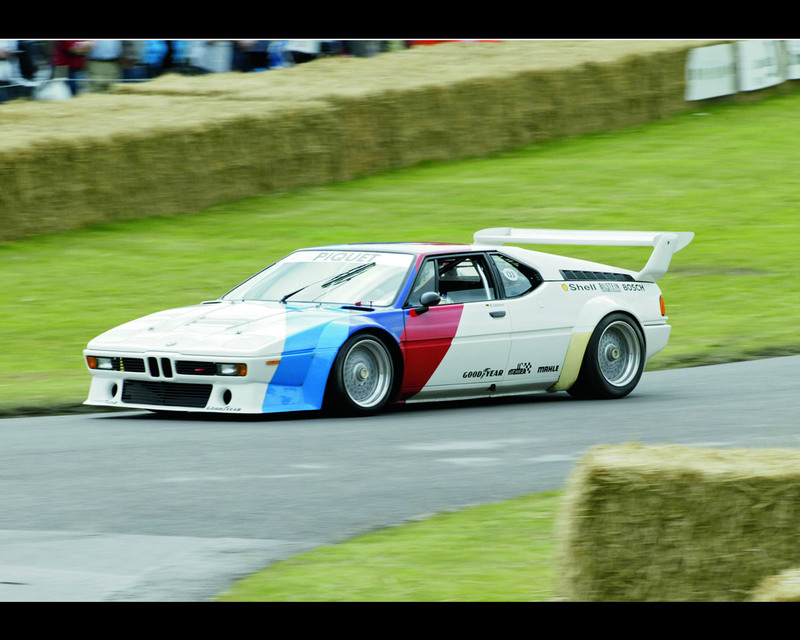 The BMW M1 Group 4 was unveiled nearly at the same time as the road going version. 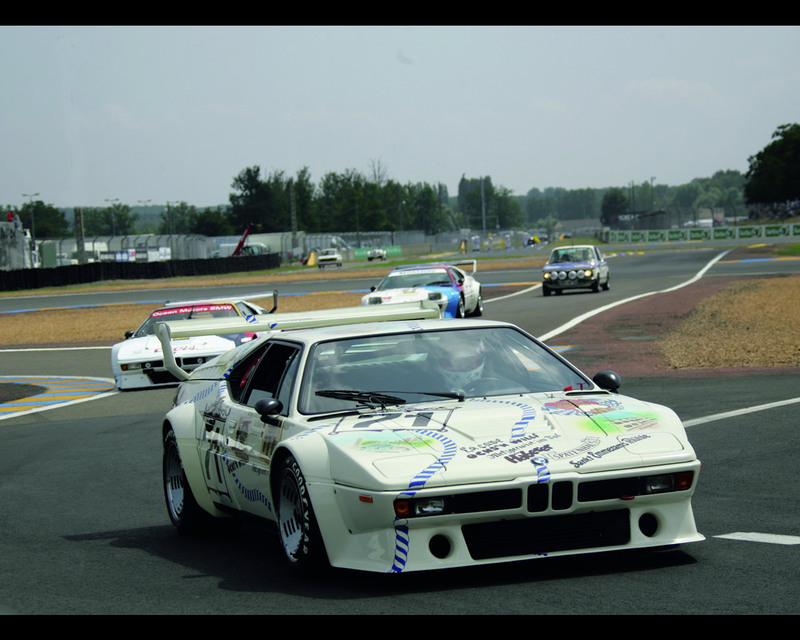 The BMW M1 was conceived and built by BMW Motorsport Gmbh, BMW's motor racing subsidiary established in 1972. The racing company, having already made a great name for itself in the international racing scene with the fast BMW 2002 and the highly successful BMW 3.0 CSI, now planned to lift this success to an even higher level with a competition car especially built and prepared to Group four and five racing series. The BMW M1 bore this model designation standing for the first car developed and built entirely by BMW Motorsport Gmbh. The styling design of the BMW M1 was developed by Giorgio Giugiaro in cooperation with Paul Bracq, BMW Design Studio designer of the time. The BMW MI design was modelled around the BMW gull-wing Turbo, a turbocharged concept car created in 1972 by Paul Bracq. Proceeding from this design study with its rounder lines, Giorgio Giugiaro created the sharp profile of the M1 with its distinct, almost jagged edges and corners. The production of the BMW M1 was contracted to Baur, a coach-building specialist in Stuttgart. 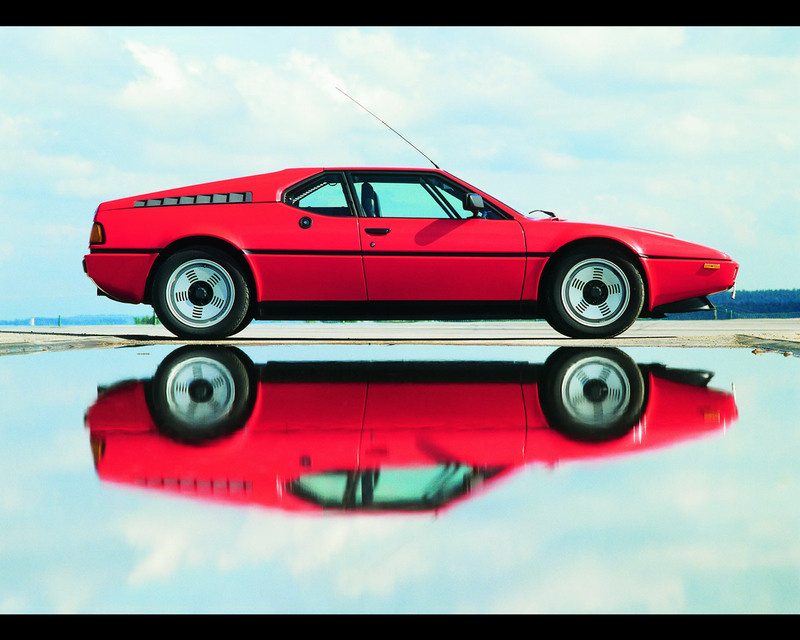 This made the BMW M1 a genuine challenge in the production process with the space-frame built by Marchesi, the glass-fibre-reinforced plastic body shell by T.I.R., both in the Italian town of Modena, and Giorgio Giugiaro's company Ital Design assembling these two basic units and adding the interior trim and equipment. From there the car went to Stuttgart, where Baur fitted all the mechanical systems and components. To get the car faster on the track, BMW Motorsport Gmbh Director Jochen Neerpasch, teaming up with Bernie Ecclestone and Max Mosly, launched the Procar Series with races held just before most of the European Formula 1 Grand Prix events in the 1979/80 season. The big difference versus the road going car was the engine of the Procar racing version. The first step for motor racing was to tune the M88 six-cylinder the classic and conventional way, with new camshafts, larger valves, forged pistons, optimized flow ducts, slides instedad of butterflies and a modified exhaust system boosting output to 470-490 bhp. With this kind of power, the Procar version weighing just 1,020 kilos and fitted with the longest transmission ratio had a top speed of approximately 310 km/h (192 mph). 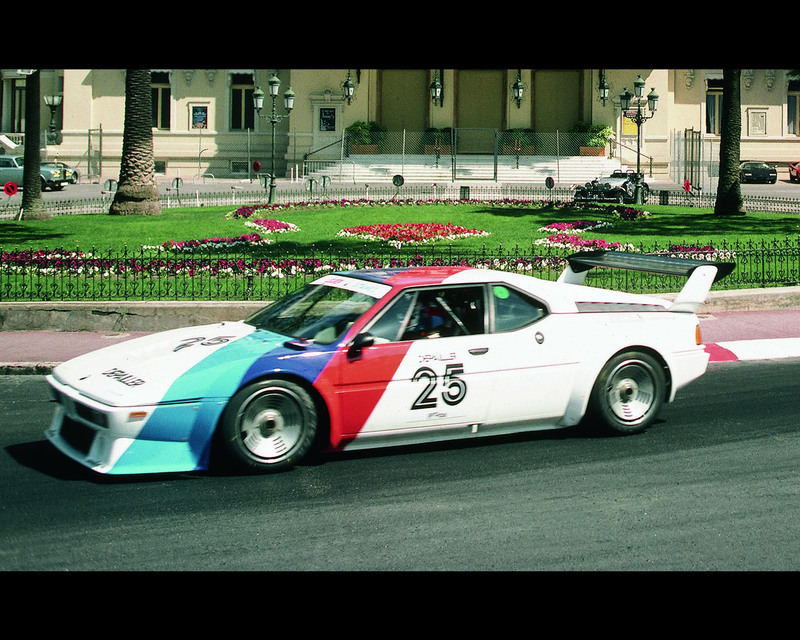 The BMW M1 also evolved in the Group five category. Group five was for special production cars derived from cars homologated in other racing categories - and that was virtually the only restriction. The first BMW M1 to enter Group five were powered by normal-aspiration engines developing maximum output of almost 500 bhp. Later, the engines of the Group five were boosted up to 1,000 bhp by two turbochargers. 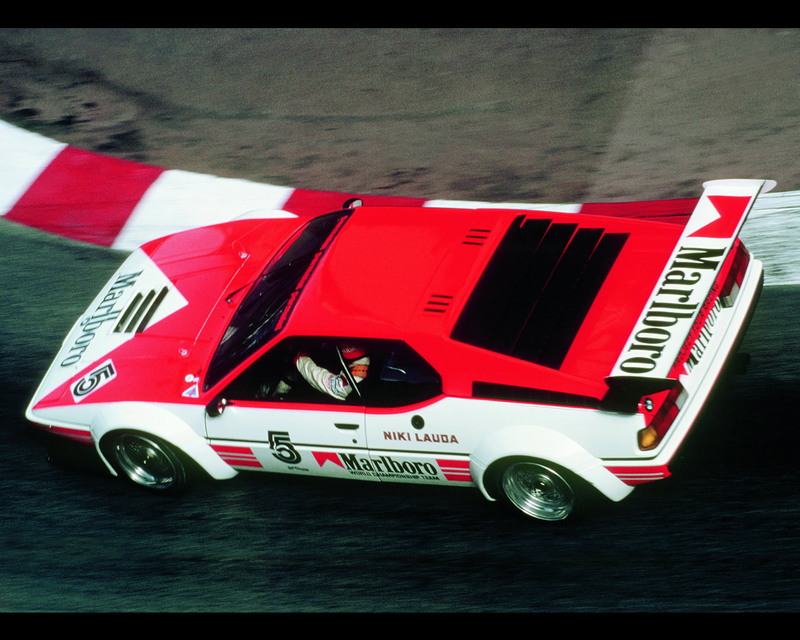 And to get as much of this huge power on to the road as possible, the body of the car was modified by all kinds of spoilers turning the BMW M1 into a real "wing monsters". 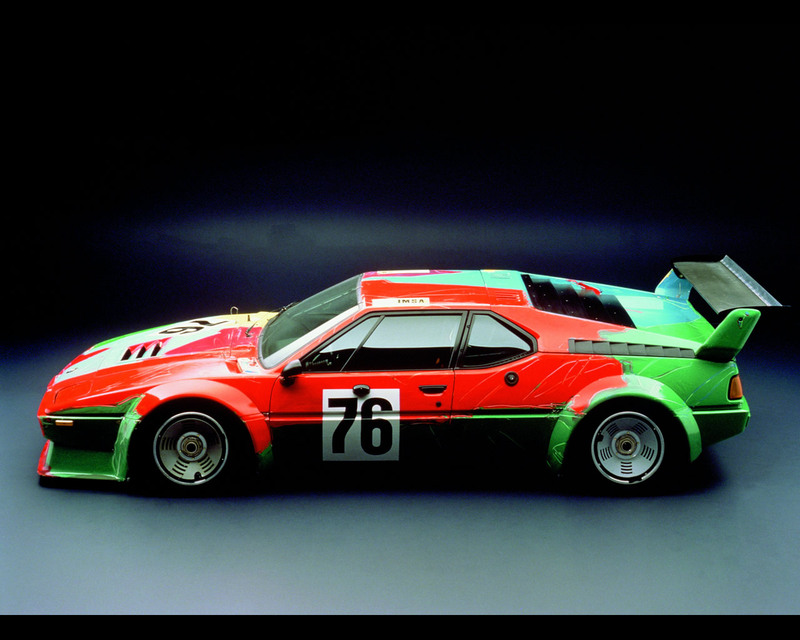 1981 was a spectacular year of success for the BMW M1 in the IMSA GTO Championship in the USA. After forming the Red Lobster team, Dave Cowart and Kenper Miller finished the season first and second at the wheel of BMW M1. 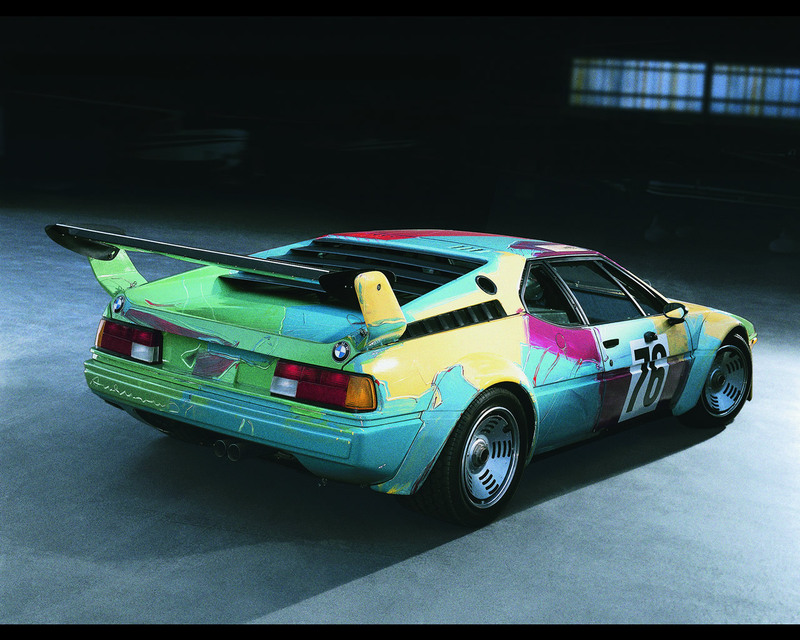 In 1979, world-famous pop art idol Andy Warhol tried his hand on a ready-to-race BMW M1, using his brush and paint to turn the BMW M1 into one of the fastest works of art in the world. 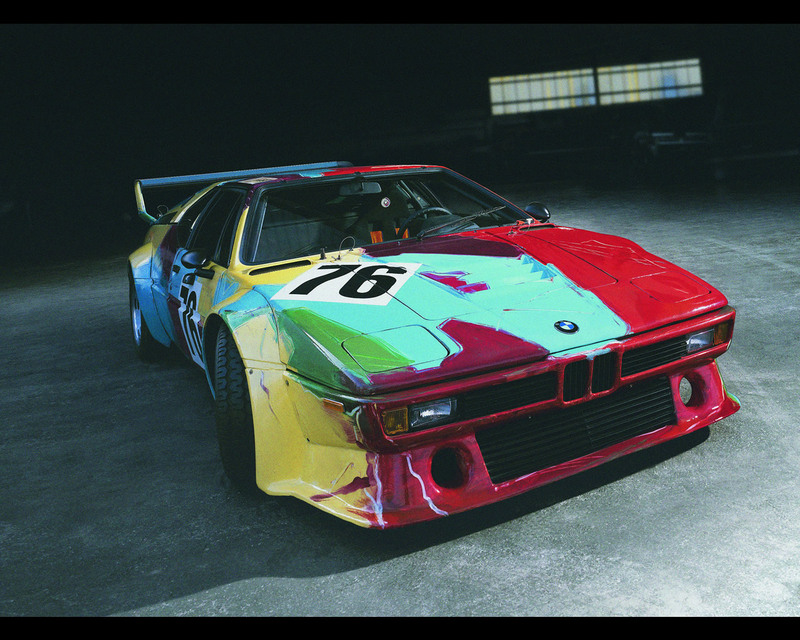 Boasting number 76, the BMW M1 Art Car struggled for the title in Le Mans throughout the whole 24 hours, ultimately finishing the race sixth. Specifications BMW M1 production model: Engine: water-cooled inline-six in mid-engine arrangement four valves per cylinder, two overhead cam-shaft with double roller chain; capacity 3,453 cc, maximum output 204 kW/277 bhp at 6,500 rpm, maximum torque 330 Nm/243 lb-ft at 5,000 rpm, fel supply Kugelfischer system mechanical fuel injection. Spaceframe with plastic body, Length 256 cm/171,7 in., Width 182 cm/71,8 in., Height 114 cm/44,9 in. Specifications BMW M1 Group four: Engine six-cylinder in-line, water-cooled, four valves per cylinder, mechanical fuel injection, dry sump lubrication, oil cooler at the front end of the car, 3,500 cc, maximum output 345 kW/470 bhp, at 9,000 rpm, maximum torque 390 Nm/287 lb-ft at 7,000 rpm. Specification BMW Group five: the Group five BMW M1 features a 3,2 litre six-cylinder 24 valve power unit with an exhaust gas turbocharger developing up to 850 bhp at 9,000 rpm. Boost pressure is between 1,2 and 1,4 atmosphere.